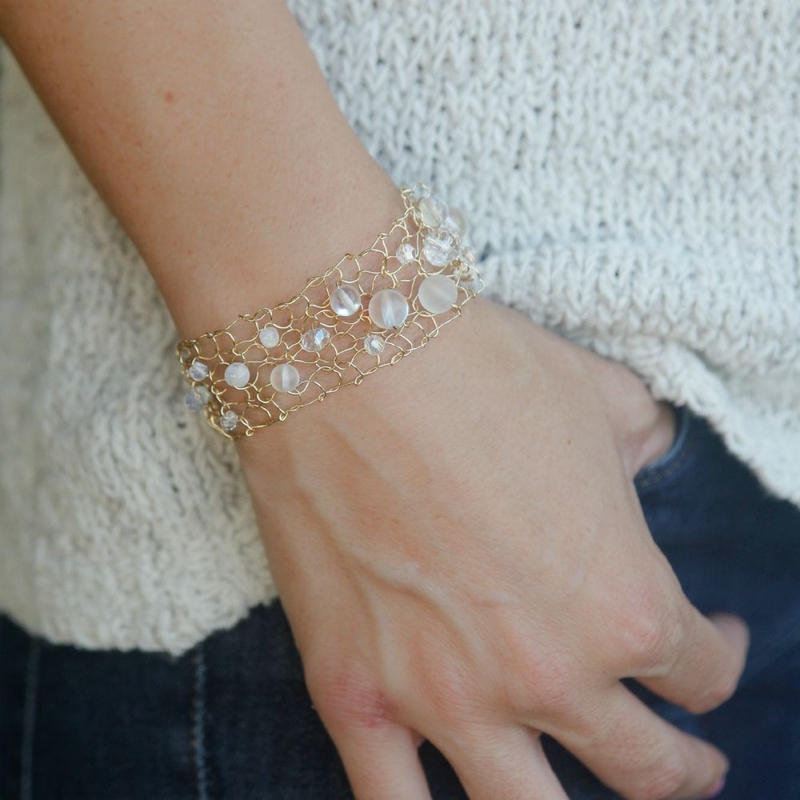 This delicate gold wire mesh cuff is sure to please with magical rainbow moonstone, australian crystals and aurora borealis crystals! It saprkles and shines a million times more than the photo suggests. The thin cuffs are hand knit and measure about 1" in width & will be knit to specified size. If you dont see you wrist measurement in the options menu- please select closest and just shoot me a note about your wrist length..... no problem at all! Each is fastened with a large magnet for convenience.